Website Hosting & Design Kiwis trust. Our service is backed with a 30 day money-back guarentee. Call now on 09 366 0878. 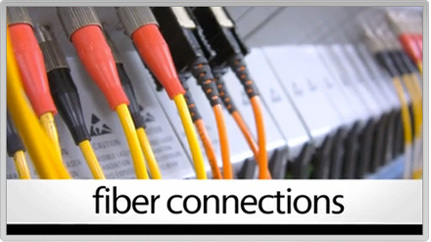 NZ Web Host is a division of Strobe-Quik Web Solutions Ltd trading as Internet Solutions Group. Choosing a web host can seem like a daunting task. There is always the possibility for issues to arise, and once you have systems in place that you or your customers rely on (for example: email, website contact info, ordering products or services from your website), your business can suffer from having them unavailable. That is why choosing a reliable web host is important, and picking a hosting company that you can trust is important. Cheap web hosting is always readily available; it is just a case of finding that NZ hosting company that is balanced in terms of service, reliability and cost. Choosing a NZ Website Hosting company has many benefits. One of the big things that a NZ web host can offer is reliability. Especially for websites looking to provide content for New Zealand based users, having locally hosted content will speed up accessibility. New Zealand’s servers are also quick to load world-wide, making your information accessible easily internationally. There are no repercussions for international access from local hosting, and your clientele will experience better speeds. Hosting overseas or with an unreliable company can mean long periods of downtime. Choosing a cheap web hosting option over reliable, NZ hosting can end up costing you money and your business credibility. 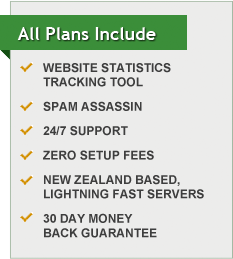 For the most reliable service for you and your users, picking a NZ web host just makes sense. Don’t put up with dodgy, unaccountable hosting; don’t make your customers suffer, and don’t let your business suffer in turn. Do your research and ask web hosting companies about their support time-frames, make sure their servers are hosted and located in New Zealand, do they offer any guarantees on their hosting service? Do they backup your hosted data? What is their server up-time? Seeing ‘99.9% Server Up-time’ is common, but how do they guarantee it? What is bandwidth? An important thing to consider when choosing a web host is the amount of bandwidth you are expecting your web site to consume. A simple website with the main focus being informative to clients or customers will not use a lot of bandwidth simply because there is not much information to be sent to viewer’s computers. NZ Web Hosts ‘Entry’ or ‘Up-Sized’ hosting plans would be suffiecient in this senario. A web site with online shopping options, interactive photo galleries, audio clips, video or available software downloads is going to have higher bandwidth demands and will requier NZ Web Hosts hosting plans ‘The Works’ or ‘The Boss’. You may also require other web/hosting related services in the near future from your web host such as Web Design, web development, SEO, Content management systems such as Word Press or Joomla, need small changes made to your website, hosted Cloud Backup services. NZ Web Host offer a range of online web based services to compliment your hosting service. It’s often nice to keep everything under one roof and to have a web team ready to service your we needs.